There are certain realities accessible only to a handful of people. Across 300 pages this book takes the reader to the unique reality of Scotland’s West Coast and offers a detailed account of life and culture in the region. However, as every reality, it’s not for everyone. 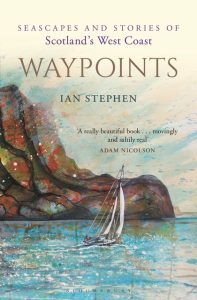 Ian Stephen comes from the Isle of Lewis in the Outer Hebrides, where he worked as a coastguard for fifteen years. Since 1995 he’s been a full-time artist – his works include a poetry collection Maritime and a novel, A Book of Death and Fish. Despite her age, the old Broad Bay still seems lively and petite. This is a boat you can banter with. An Sulaire is more the diva. She can scare you a bit as well as impress you with her capability to charge on through huge, clashing seas. She has the power and buoyancy to venture from the bay to the ocean. Consciously, Stephen crafts the stories in a way that feels both universal and personal. 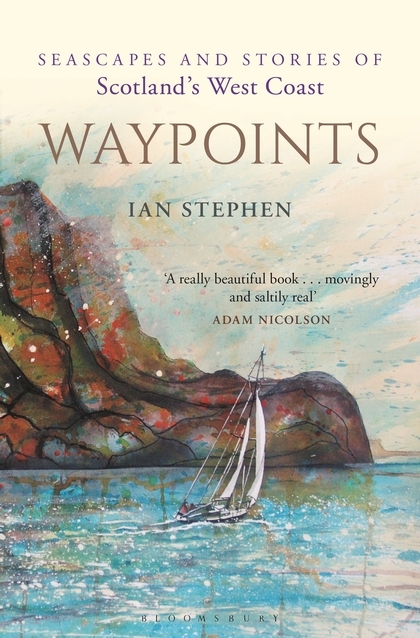 These tales show that somehow the sea preserves the tides of generations, for “sailing skills are passed on, like stories.” Waypoints requires a focused yet relaxed mindset, but when it’s achieved, this book brings the reader into a vivid reality of Scotland’s West Coast, with all the peace and danger, described in the beautiful language of a conscious writer. This is a book that should sit on a shelf and wait to leave it, like a boat moored by the shore, waiting for an adventure. Corrected now. Thanks Ian – the mistake is all ours not the reviewer.